This statistic shows the results of a survey conducted in the United States in March 2017. 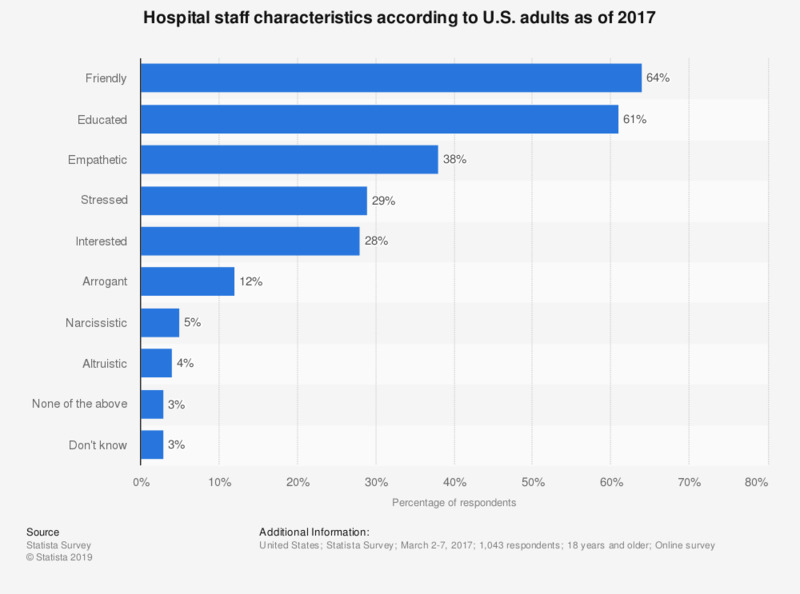 U.S. adults were asked about characteristics of U.S. hospital staff, as perceived by their own experience. Almost two thirds of respondents stated that friendliness is a characteristic of U.S. hospital staff. Over the last 12 months, has your work affected your physical health?